So, there you have it. 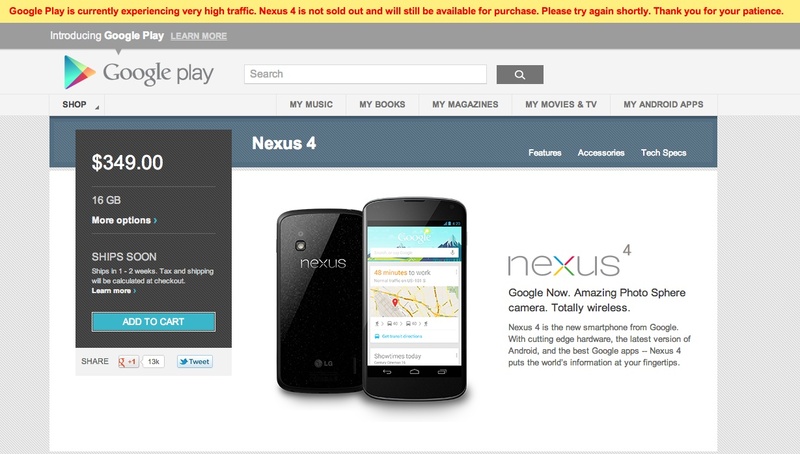 The Nexus 4 is not sold out. Try again later. Cheers Teng, Adam, Aaron, and Baldypal!